IMCDb.org: 1977 Polski Fiat 125p [115C] in "Ve znamení Merkura, 1978"
Another '75-'78 by what is visible. Anyone for the foldable camping-trailer? This trailer looks really peculiar, I've never seen something like this before. What was the use of making half-folding trailer? This number plate also's kinda interesting to me, it looks like old Dutch style one. Unfortunatley brand was not mentioned. So except the smaller aerodynamic drag, it also needs less space to store. These aren't rare at all, but in our country for sure are less common than the "normal" caravans (from Niewiadów). Looking at the google pics it rather is. Oh yes, lower drag coefficient so in fact much higher speed on the road, it's obvious when you think about it... but aren't they rare? I have not only seen them on Polish roads, but never seen in any European movie, magazine or picture in the internet. License plate is dutch, indeed. It dates from late 1976 or early 1977. And these foldable camping trailers were very popular in Holland (my parents had one, too). 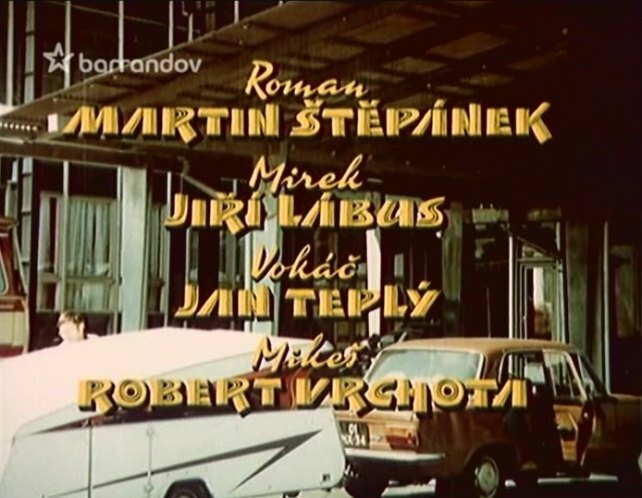 blinski wrote I have not only seen them on Polish roads, but never seen in any European movie, magazine or picture in the internet. As DynaMike has said, they were popular in Holland (o.k.,is there any Dutch family without a camping-trailer? ), but in other countries, too. In West Germany, more in Scandinavia, also in Belgium. AFAIK there was also a DDR-made foldable camping trailer. A friend of mine had a French made foldable camping trailer (I forgot the brand-name, I can ask for it). The most popular in West Germany of those, named "Scholz Brüderchen" ("litte baby-brother") http://www.scholz-bruederchen.de/23643.html was made in Norway, by Wideroe`s Flyveselskap A/S Fornebu Oslo. Are they still common in these camp-loving countries? Now I become interested in these and discovered lots of modern folding trailers, also this bruederchen one equivalent, but hell they're pricey! Yes, time-by-time you can see modern ones. Here, in the far West of Germany, always towed by Dutch cars. They are popular for owners of rather small and mid-size cars with a lower towing-capacity.